Q: When did you become diillusioned with the world? A: Well, not so much disillusioned - more like disgusted with all governmental establishments that effect the world and our future well-being. I first heard the word ecology and learned of the delicate interdepenence of all life (and how easily the diverse balances can be disrupted by human blunders) in Zoology 101, Santa Monica City College in 1963. I had just been honorably discharged from a four year hitch in the military and was taking advantage of the G.I. Bill. My instructor was Harvey Kirk. He turned me on to Rachel Carson's book, Silent Spring. From there, I went to the University of Hawaii and majored in marine invertebrate biology. In field studies, I saw first-hand, the destruction of Hawaii's reefs and the negative impact on the marine life it supports due to pollution and siltation. At the same time, I was getting politicized due to the U.S. war of aggression in southeast Asia. 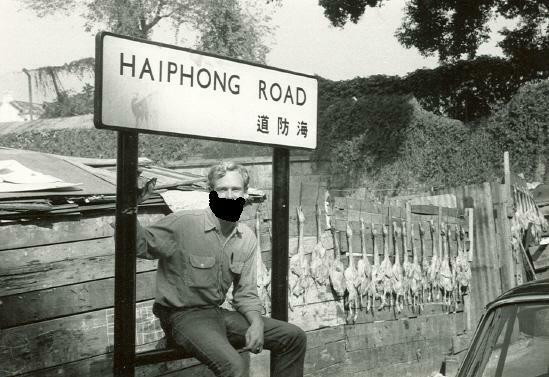 I dropped out of college and traveled to the mainland in '67. There, I was caught up in the anti-war movement. On a daily basis, there were outrageous events that pissed me off. . . Army Lt. William Calley and the massacre and cover up of unarmed Vietnamese civilians; G.I. 's and Viet Cong being exposed to Agent Orange (2,4,5-T), the destruction of Vietnam's forests in the name of democracy (New Yorker, Feb. 7, 1970). While at home the Cuyahoga River caught on fire in Cleveland and the Santa Barbara oil slick occurred. We heard of the exposure to 2,4,5-T in Globe, Arizona (1969) and the deaths, still-births and deformation of farm animals and human miscarriages. Out of the civil disobedience spawned by the war protests, came the more destructive militants and radicals who were fed up with the lies and intransigence of the government. I became active with the SDS (Students for a Democratic Society) in the fall of '67 at the U of Colorado (I was never a student). I eventually dropped out because SDS was not radical enough for me. I returned to California and participated in the People's Park protests in Berkeley and the first Earth Day event at UCLA in 1970. By the end of the day, after listening to the speeches, I was fully committed to the Environmental movement in addition to the anti-war movement. 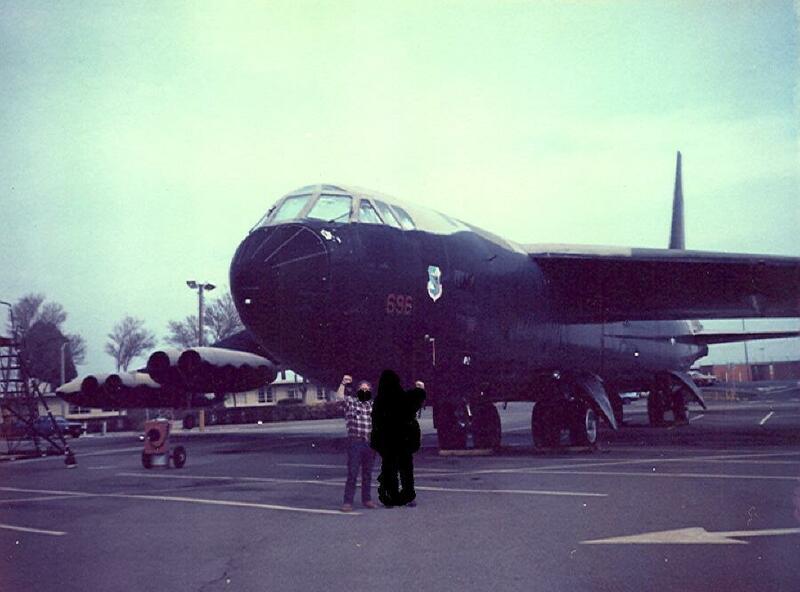 As an anti-war statement, I had made plans to hijack a B-52 in Thailand, have it flown to Hanoi, secure the release of the crew and blow up the aircraft on TV. I flew to Asia in January of 1971. While flying over the Pacific, as the sun was setting, I could see the brown haze of pollution in the atmosphere, spreading across the ocean. I knew particulates and man-made chemicals were falling on earth's oceans every day, year after year, poisoning the vulnerable phyto and zoo-plankton that live in the first few meters of the ocean's surface. Plankton is the base of the food pyramid and a vital source of the air we breathe. Seeing this yellow-brown haze way out in the Pacific convinced me that extreme, direct action needed to be taken or we would become our own victims. Six years later, I co-founded the Original E.L.F. ecommando unit. We liked the mischievous "elf" symbolism. In 1977 we discussed using various names for the ELF acronym. One early choice was Earth Liberation Front. That was ultimately rejected because it had too much of a militaristic connotation as opposed to a more direct action militant/environmental one. Also, Earth Liberation Front sounded arrogant. After all, no one owns the earth and therefore it can't be "liberated". 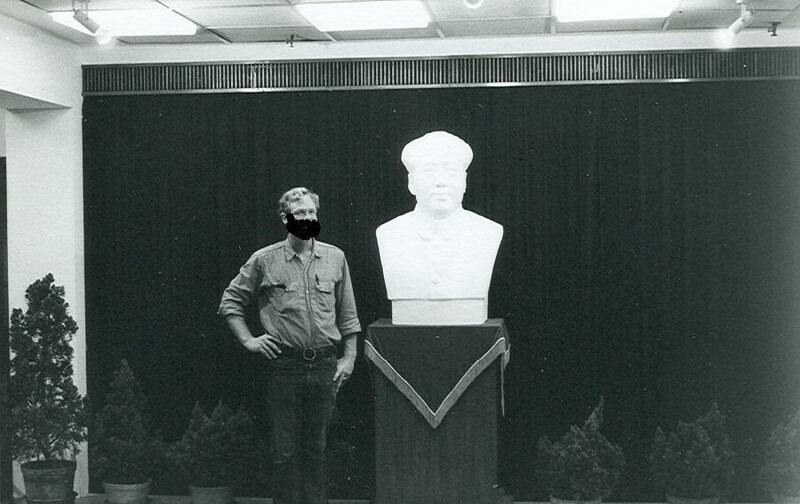 In addition, the New World Liberation Front was very active in the Bay Area back then. As environmentalists, we didn't want to be compared with the political and militaristic NWLF. We finally settled on Environmental Life Force. Fifteen years later, in the early '90s, the contemporary ELF was re-invented. They copied our tactics, philosophy and our ELF acronym but didn't reject the militaristic-sounding "earth liberation front" as we had done earlier. 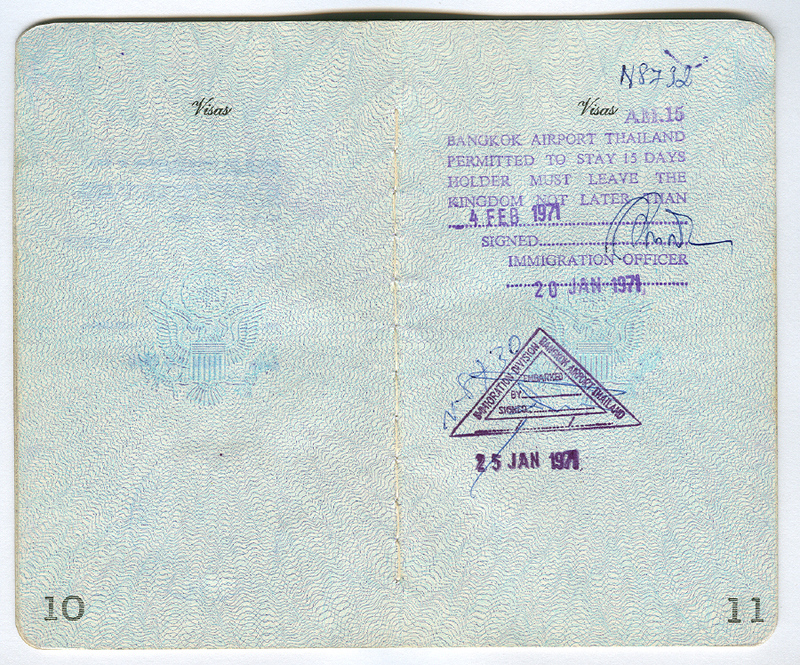 But to return to my asia trip: I arrived in Thailand on January 20, 1971. In the previous month, I had learned that Columbia Eagle mutineer, Clyde McKay, had escaped from the pro-U.S. puppet regime in Cambodia. I wanted to find him and see if he would join me in a B-52 siezure. 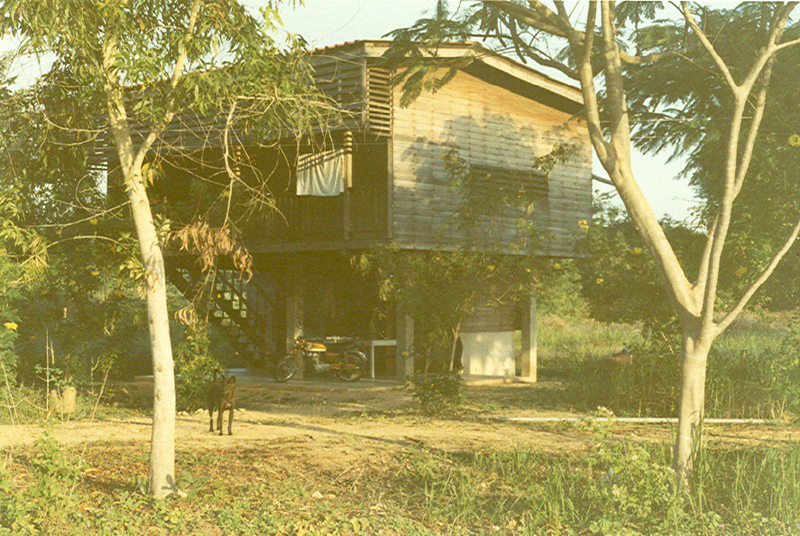 But, by the time I arrived in southeast Asia, McKay had been captured by Khmer Rouge guerrillas. I went ahead and did a reconnaissance of the B-52 base at Sattahip (Utapao AFB). 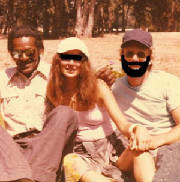 It became clear that a hijacking could not be accomplished on my own so I returned to the States in March of '71. In March, 1974, I was hired as a civilian deckhand on a U.S. Army ship (LCU26) that transported a U.S. Atomic Energy Commission (AEC) medical survey team to the Marshall Islands where the atomic and hydrogen bomb tests were conducted. The medical survey team made an annual trip to the islands of Bikini, Utrik and Rongelap which were dosed with severe radioactive fallout. 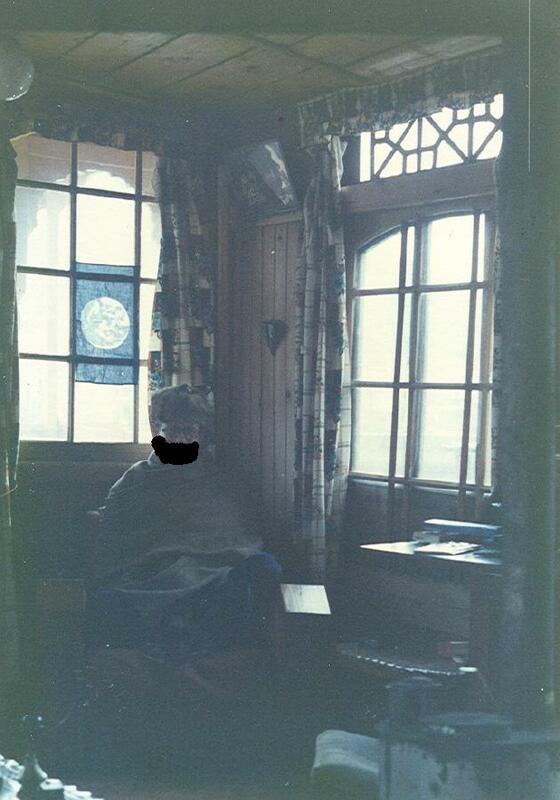 I saw first-hand, the sickness of the exposed islanders and the shabby treatment they received by the medical team. The U.S. government treated the islanders as human guinea pigs - out of sight, out of mind to the rest of the world. I later wrote an article that detailed my observations and disgust. It appeared in the March 1979 issue of the Micronesia Support Committee Bulletin (Vol. 4 No. 1), Honolulu, HI. (to read a reprint and see photos, click on the "Nuclear crimes by U.S." link at top of this page) A copy may be available by contacting Mr. Giff Johnson, editor-in-chief, Marshall Islands Journal. This, and other events started me on the radical environmental path leading to the formation of ELF. Q: How did you transform from an eco-guerrilla into a repentant, productive citizen? A: Well, I matured and started looking at things in a different light. Getting arrested got me seriously involved in alternative ways of action - legal forms of protest and "civil" disobedience. There was no epiphany or idiological revelations involved in this transformation. Just pragmatics and self-preservation. I didn't like jail and when I was locked up, I couldn't get anything done! If I wanted to change things, I had to work within the system. In all my years of observing radical entities, I recognized that almost none of them were ultimately successful in accomplishing meaningful change through violence. The Vietnamese Communists were the exception and to some extent, the U.S. anti-war movement. Q: Any influential social or political ideologies? Was ELF a helpful extension of mainstream groups or people? A: Well, back in the day, there was the Weather Underground and the New World Liberation Front; and the brave protesters that burnt down the ROTC buildings and the Isla Vista branch of the Bank of Amerika. The four murdered and nine wounded at Kent State. Later, the French government's cowardly bombing of the Greenpeace ship, Rainbow Warrior, and the resultant death of a crewmember. The numerous Earth First! actions. Unsubstantiated anecdotal reports say that a militant faction broke away from Earth First! and resurrected the ELF acronym in Britain. On the social front, there was the music of the sixties. Not so much Joan Baez singing "Kumbaya" in a Hanoi bomb shelter. Then there was the image of Hanoi Jane sitting on that anti-aircraft gun. Films like "In The Year Of The Pig" , "Winter Soldier" and "Z" opened my eyes. Not so much "Easy Rider" and "Joe". Hollywood is the first to co-opt a good idea or trend. There are a lot of opportunists. That's why I always play my cards close to the vest. I've learned that if I have a good idea, I'm better off keeping it to myself until the time is right; otherwise, someone will come along, change it around and screw it up. Case in point: The Original ELF www.originalelf.com/ ) and today's ELF (www.earth-liberation-front.org ). I should'a kept it to myself . . . and with 20/20 hindsight, I see now that resorting to violence was and is a self-defeating tactic. The Original ELF is an unfortunate legacy. I don't feel that the original ELF, or today's varient, have had any positive influence on mainstream groups. The self-appointed Earth Liberation Front spokesmen have pushed their own political agendas that have little to do with the environment. Their incendiary rhetoric push the limits of free speech and incites others to do stupid, meaningless acts like burn SUV's and torch McMansions. The arson attacks create a larger carbon footprint on our environment than would be made if left untouched. And, of course, these spokesmouths, risk nothing while they fan the flames with hot air from their pie holes. Violent acts and intimidation serve only to discredit any positive accomplishments made by mainstream organizations. However, I believe that direct action does not have to be destructive. It has its appropriate place in the movement - as long as it's done in a civil way. And for those who do choose to practice civil disobedience, they need to be prepared for the possibility of standing before a judge at some point. Should that occur, they need to accept responsibility for their actions in order to demonstrate the depth and strength of their convictions. So, whatcha gonna do if your guerrilla operation backfire's from being an eco-defender to becoming an eco-defendant? That's what happened to me. I was busted for placing fire bombs on seven crop dusters at the Salinas airport. 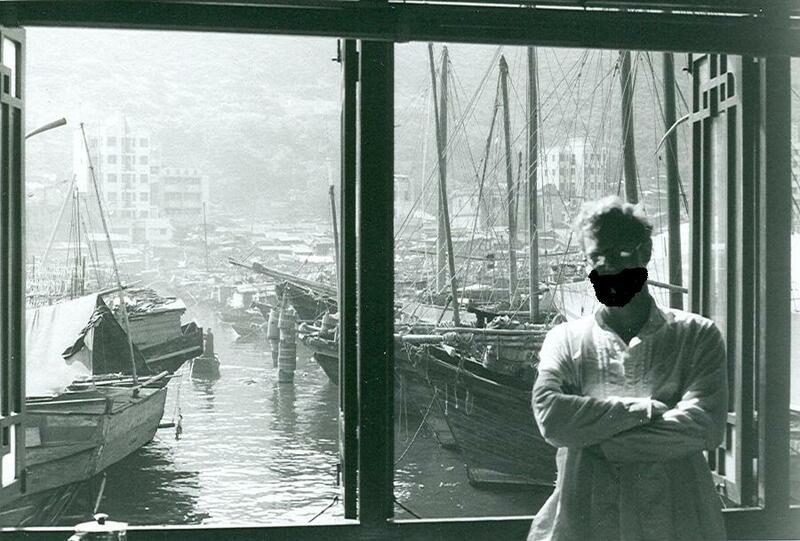 I was fed up with having our food and environment poisoned with toxic spray. My arrest and conviction was very uncomplicated: I said I was guilty as charged and had acted in self-defense of Mother Earth. I waived my right to a jury trial and accepted a five-year sentence. I couldn't have known it at sentencing time, but the judge later chose to modify my sentence. Three months after I began serving time at Lompoc federal prison, I was cut lose on probation. I didn't snitch on my comrades or make any deals. I was prepared to do whatever time the Feds threw at me. So, for me, the lesson is clear: Stand up for your beliefs and tell the court that you're a proud eco-warrior. It's the only way to go. If a person truly believes in their cause and the tactics they've chosen, then a plea of "not guilty" is a total cop out. It serves only to invalidate your actions and diminishes your character. Okay, Malcolm. Hope this helped answer your questions. Like I said, I don't think any of my ruminations are relevant to today's ELF. The way ELF is structured, anyone can be an ELF for the day (or a spokesman). There are no checks and balances (peer feedback) to mitigate things. I'm too old to be a peer. But, maybe guys like yourself can make a favorable impression on those who are willing to think for themselves. Good luck with your writing.